The holiday season is well over, so now it’s time to enter everyone’s favorite season of the year – tax season! (Just kidding, of course). Many folks, with the exception of the IRS, may feel as though filing taxes are a necessary evil. Others may think that “what’s done is done” and that there is little within their control. 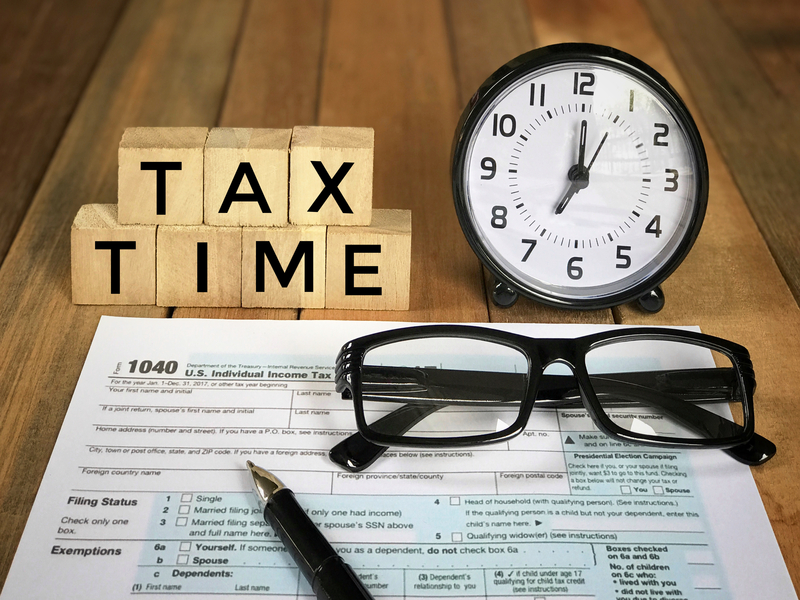 While in some cases you may not be able to do anything about the taxes you owe for last year, you can talk with your tax professional or certified public accountant (CPA) about ways to potentially decrease taxes this year. If so, here are a few ideas you might want to bring up to your tax professional.. Consider a Donor Advised Fund (DAF). We’ve written about DAFs before (click here for a refresher). If you’re charitably inclined, overfunding a donor advised fund can be a great way to save for future giving. Beginning with tax year 2018, many households will no longer be able to itemize tax deductions due to an increase in the standard deduction. However, overfunding a DAF could change that. If done at a substantial enough level, it could make sense to itemize other items that are no longer deductible (like mortgage interest). Could this be right for you? First, figure out how much your household typically gives to charity annually. Then, see if you have cash or securities available to pre-fund several years’ worth of giving. Make sure you consult with a financial advisor or accountant to determine if this makes financial and tax sense for you. Have you checked the combined contribution limits of your traditional and Roth IRAs? According to the IRS for 2019, your total contributions to all of your traditional and Roth IRAs may be as much as $6,000 per person ($7,000 if you’re 50 or older), but if your compensation was less than that dollar limit you could only contribute the amount of your taxable compensation for the year. However if you file a joint return, you may be able to contribute to an IRA even if you did not have any taxable compensation as long as your spouse did. See this link to the IRS website for more detailed, frequently updated information. Are you the parent of a young adult who has a part-time job? Your young adult child can contribute to retirement savings, too, as long as they have taxable compensation (i.e., a job). But what if junior can’t afford to make his or her own contribution? No worries, you may be able to make the contribution for your child as a part of an annual exclusion gift. For young workers with low income, we advise funding a Roth IRA to take maximum advantage of compounding growth. Check out the IRS website for more info. Does your accountant know about any tax credits available at the state level? While every state is different, there could be valuable deductions and credits available to reduce your state tax liability. For example, Illinois recently offered a tax credit for those who contributed to a program called Empower Illinois which provides funding for underprivileged children to attend private or charter schools. It’s your accountant’s job to know the nuances of local tax credits, so make sure you ask. Do you take advantage of your employer’s programs? If you’re a W2, salaried employee, make sure you take advantage of all available programs. This could include things like flexible spending accounts, retirement plan matches, medical, day care and health club reimbursements, pre-tax transit packages and more. As well, if you are a higher-compensated executive, you might be eligible to defer some compensation to make this year’s income lower. Explore your and your spouse’s company benefits and bring your benefits book to your tax professional and/or financial advisor. If you’re self-employed, are you taking advantage of savings programs? Just because you don’t have a boss does not mean you can’t save for retirement. Make sure your accountant is informed of your current year income prospects and savings goals. He/she can let you know what retirement savings program makes the most sense for you (i.e. SEP IRA, 401(k), defined benefit plan). Make sure to let them know if you’re interested in saving more, hiring an employee, or anticipating a pay raise. Just because you’ve been in one kind of retirement savings program does not mean it’s the best for you on an ongoing basis. There are a myriad of tax saving opportunities if you have a rental property, so make sure you tell your accountant right away if you are interested in purchasing one. We also advise talking with a financial advisor before buying a rental property to ensure this fits in with your financial plan and that you’re ready for potential responsibilities associated with it. If you donate to charity, save the receipt. If you made a major purchase (like a vehicle), save the receipt. If you own a business, save the receipt for ANY business related expense! Nearly all deductions require some kind of “proof.” Your accountant should be asking you a number of questions about your activities throughout the year to determine if you are eligible for these kinds of deductions at year end. If you have any inkling that an expense or donation may be deductible, save the receipt and show to your accountant – who knows, you may save money! Taxes are most people’s least favorite subject, but with a little bit of strategy it can be well worth the effort required. If you’re battling through tax season we would be happy to work with you and your tax professional to help coordinate strategies for your financial plan. Prism Planning Partners, LLC dba Prism Planning Partners is a registered investment advisor in the State of Illinois. When you access other web sites through links in this article you are leaving our web site and assume total responsibility and risk for your use of the site you are linking to. We make no representation as to the completeness or accuracy of information provided at that site. This article is for informational purposes only and does not constitute an offer to sell, a solicitation or offer to buy, or recommendation of any security or product. Prism Planning Partners does not provide tax advice, consult with your tax professional to determine if this information is appropriate for you.